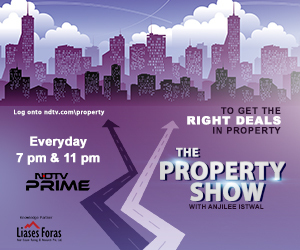 Writing an article on Real Estate prices now has the same business model as that of news channels. Sensationalism sells, facts may not. In mid-2015, a report predicted 50% crash in real estate prices. The logic used was that the rental yield on real estate is very low as compared to the interest rates on bonds. Nothing akin to the prediction happened. But the report did create sensation and therefore became the darling of whatsapp forwards. Similarly, another report is doing rounds which says that now demonetisation will result in real estate prices crashing by 25-30%. The apparent logic being that black money dominates real estate transactions. The author of the former report probably was not aware that rental yields in India have historically always been significantly lower than bond yields. Fair enough, there is not much-published data available on historical rental yields. Similarly, if people believe that black money dominates real estate transactions today then again they cannot be blamed because past perceptions do take considerable time to be wiped off. And therefore, as elaborated below, demonetisation is unlikely to have any negative impact on home prices. In the past, black money did dominate the sector due to factors like high stamp duty, Urban Land Ceiling Act, provisions for acquisition in Income Tax Act, high rates of income tax/capital gains, lack of institutional finance, etc. However, today with significant efforts taken by various governments, institutional funds dominate funding to real estate sector both in the form of lending to developers as well as housing finance for home purchasers. With food prices likely to come down due to comfortable supply situation, the inflation rate is likely to move southwards. With inflation coming down and demonetisation increasing the money supply to banks, the interest rates are likely to come down. This factor will actually have a very positive impact on demand for homes. The argument that in absence of black money approvals will become difficult resulting in lower real estate prices is flawed since fewer approvals would actually mean reduced supply thus inducing hike in real estate prices. Today close to 75% of the home transactions comprises new home sale by developers. And since most of the purchasers opt for housing loan, black money hardly has any significant role to play in new home sales. In the resale market, yes, there are sellers that want money in cash but post-demonetisation if demand does fall, sellers in resale market would prefer holding their price and waiting longer than reducing their asking price. In fact, some sellers may even increase their asking price, justifying it on account of larger payment of capital gains tax. Resale market for homes is an inefficient market, the home prices, therefore, need not reflect the true demand/supply situation as one would rationally expect it to. The only segment where black money plays a dominant role is land parcels in urban outskirts or semi-urban areas. 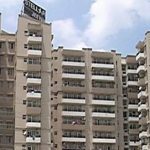 If and when these landlords blink (which may take considerable time since many have a very low acquisition price) and reduce asking prices and then subsequently when a developer buys such land, gets the plans approved and starts making homes on such lands, can one see some impact of demonetisation. But again in such areas the land component in the cost of homes is not very high. Hence, if at all there is an impact on homes prices, it will be insignificant as well as localized. Some may argue that overall sentiments are against investment in real estate and hence prices may come down. However, there are also inertial forces that always work against any reduction in home prices. High real estate prices mean higher revenues to central government (service tax), to state government (stamp duty, VAT), to municipal corporations (FSI premium, development charges) and most importantly they improve balance sheets of banks (as banks’ existing loan portfolio gets larger security cover). Any fall in prices will impact all of them negatively. Banks will be the worst affected (as seen it in US in 2008). So the inertial forces have always tilted towards rising home prices. Over the years, the ready reckoner value (guideline value) of properties has been regularly revised and now in many urban areas government valuations of properties is very close or in cases even more than the market price. So even assuming demonetisation does reduce demand for real estate, transactions below guideline prices will not be registered by the authorities thus again ensuring prices remain high. 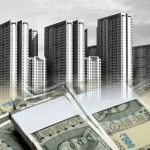 Demonetisation, therefore, offers a rare opportunity for real estate investments. 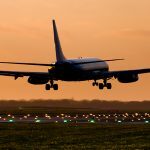 Increased availability of funds will reduce future interest cost for buyers and the same comes at a time when prices are at their lowest ebb. Dear friend,Its really a very positive and useful article for real estate investor as well as developers. But you must be aware of importance of the cash components used in real estate transactions. People having huge amount in cash pay only circle rate or 40% of property value bye cheques, rest of 60% is made in cash form. Cash components impact their income tax and stamp duty charges.This is why black money is going to impact real esTate. Your assumption is that entire Black money will be wiped off. And there will be shortage of funds in the market after Dec The way things are actually moving, one can see people are finding ways to convert their black money into white or keep it in cash in the form of new currency. So funds will remain in the system. And now interest rates will come down. So a positive news for demand for homes.